A solid Pre-Shot-Routine will enhance your Golf game and shave strokes off your score! There is a lot of time between your shots during a round of golf. Very often players think about their golf swing and other technical stuff during this time. If you take this to an upcoming shot the result can be fatal! Overthinking and analyzing definitely hinders your body to execute a fluid motion and thus makes you unable to hit solid golf shots. Staying in the present and play one shot after another sounds like a simple advise but is a hard thing to do during a round of golf. Good evidence can be found in a professional players´ routine before a shot. If you time their Pre Shot Routines you will find very little variance, sometimes as little as one second or less from one routine to another. A good Pre Shot Routine can prepare you to execute better shots – time after time. Think about the following mental tips and try them in your next training session! Find a positive trigger word to get you started! This word should either fire you up or calm you down, depending on the situation. You Pre Shot Routine should include those three parts: (1) Analysis of lie, wind, iron and shot type that is needed. (2) Pick a clear target spot and visualize the shot you want to play. 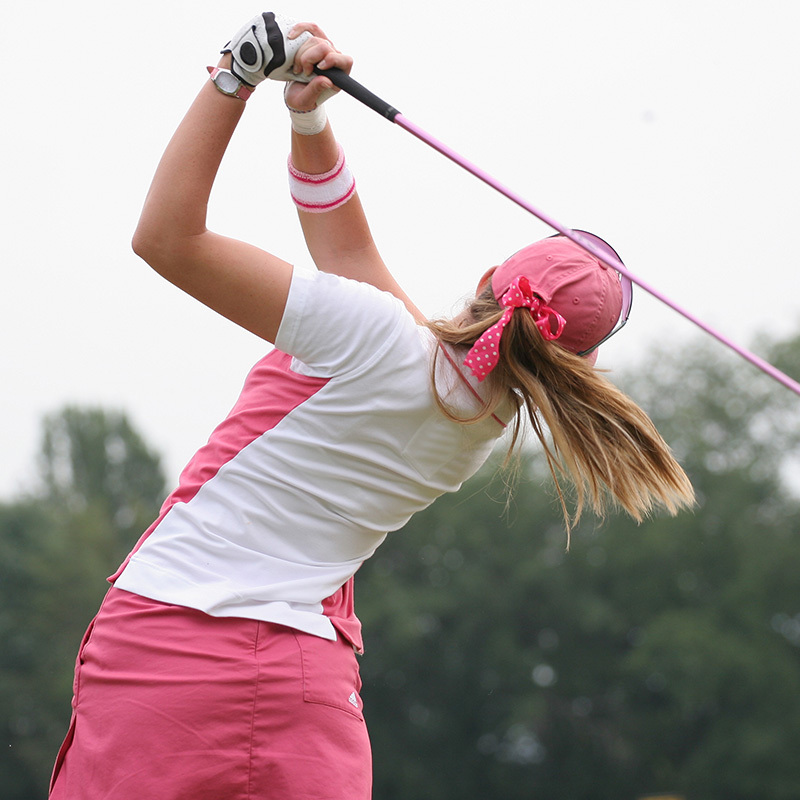 (3) Loosen up with an extra practice swing to get tension out of your body and try to get into your “automatic mode”. Think of a good past experience to create a positive body feeling. Be committed before you execute your shot! You can copy a Pre Shot Routine from one of your favourite Tour Players or create your own Routine. Just try, you cannot go wrong! Repeat your Routine time after time. Once you feel familiar, solid and good with your Pre Shot Routine stick with it! This should help you reach your comfort zone before and during a shot a lot easier and help you to lower your scores.